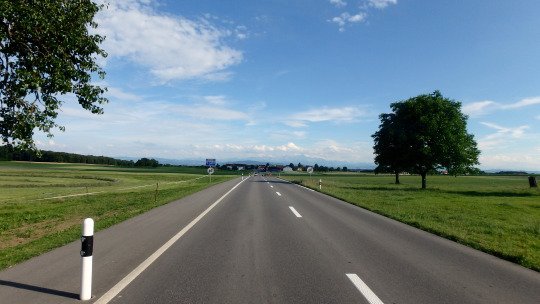 After making my way through some quaint, narrow, back country German roads, I make my way into Switzerland. Welcomed by a stinking hot day, green lush fields and a mountain range in the background. Looking super forward to passing through those!